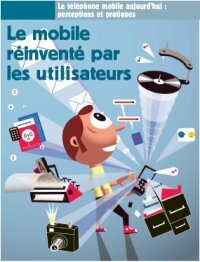 A recent ethnographic study done in France says young people have a different relation with their phone than most adults. Or rather, through their mobile phone young people relate to their peers, whereas for most adults the mobile phone is a very personal and private item. Gripic sees teenager usage of the mobile no longer as “emblematic of an individualistic society”, but rather as “a reflection of collective and collaborative behaviours”. This supports the idea of gift exchange through the mobile phone, written about by amongst others Taylor & Harper (and by me). Another interesting finding is that young people learn to use the phone by experimenting, and that they deal with glitches in a “non-dramatic” way. `“replacement mobile”: an object that was ephemeral, non-sacred, cheap and aimed at circulation. Interesting find. It totally contradicts how mobile phones seem to be used here by youngsters in Japan. Especially in neighbourhoods like Shibuya and Harajuku, the mobile phone is personal accesory. It is pimped with keychains, engravings, stickers and the like and is thereby a clear expression of identity. is it cool to have the newest or flashiest model? I remember when I was given my first mobile phone, I was so indulged in making it so personalized and even kept a blog on wap to express things with my fellow teen peers. This study proved this is the case for most youngsters. Our phones are like our very bestfriend-a portal to communicating with the outside world of our trivial issues.